Is Divya jealous with Varun and Chetna growing bond..
We saw this coming. Didn't we? Seems like the drama refuses to stop in MTV Ace of Space House. 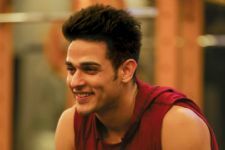 Few days after Priyank Sharma lashed out at girlfriend Divya Agarwal on social media for falsely accusing him on the show, the latter had an emotional breakdown. 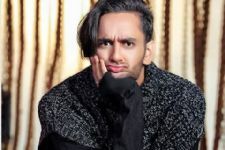 In one of the on-going tasks in the house, Mastermind Vikas Gupta put Divya into the dilemma of choosing between her parents' letter or Priyank's. And, guess what? Divya chooses to let go of ex's letter but Vikas insisted her to read his letter to know what's going on beyond the house. The letter's content leads Divya to break down into tears. Seeing her into tears best friend Varun Sood came forward and tore the letter into pieces, Varun was seen angrily retorting to the camera, "This is what I feel about you" reacting to Priyank. A dejected Divya was heard saying, "He might be having a pretty face but his heart is black. He spoilt my life". 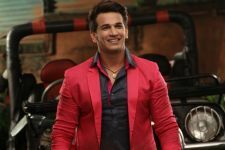 After this incident, the viewers also witness Divya Agrawal insecurity after seeing Varun Sood and Chetna's closeness in their Gym Room. Where is this jealousy leading to and will Varun and Divya come together? Only time will tell if they both will come together, but what do you think about it? Let us know in the comments section below.